Pollution is the largest environmental cause of disease and death in the world today. Pollution is responsible for 9 million deaths per year – 16% of all deaths worldwide – three times more deaths than from AIDS, tuberculosis and malaria combined (Landrigan et al., 2018). In many parts of the world, pollution is getting worse. Pollution is also a major cause of developmental disabilities: injuries that impair children’s health, diminish their capacity to learn, and reduce their lifetime earnings. Pollution exposures in the first 1000 days of life – from conceptionto age 2 years – are especially dangerous, because during this time children’s bodies are growing and their organ systems are moving through complex developmental processes that can easily be disrupted. Exposures to even low levels of pollution during the first 1000 days can stunt children’s growth, increase their risk of disease, and cause lasting damage to their brains, lungs, reproductive organs and immune systems (Landrigan and Etzel, 2013). 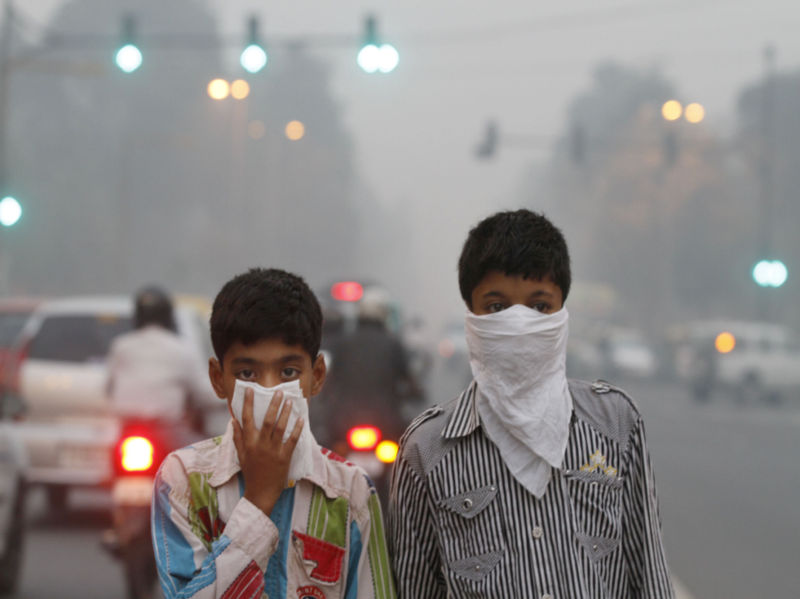 Air pollution, especially fine particulate air pollution, is a hazard worldwide. A mother’s exposure to particulate air pollution during pregnancy can injure her child’s brain and thus diminish the child’s intelligence, shorten attention span and increase risk of attention deficit hyperactivity disorder (ADHD) (Perera et al., 2014). Air pollution exposure in pregnancy increases risk for prematurity and low birthweight, two further risk factors for developmental disabilities. (Woodruff et al., 2007). And air pollution exposure during infancy and early childhood causes lung damage and leads to asthma, pneumonia and chronic pulmonary disease (Gauderman et al., 2015). Chemical pollution is another hazard. More than 140,000 new chemicals and pesticides have been invented in the past 50 years. Young children and pregnant women are exposed daily to manufactured chemicals in air, water, consumer products and food (Landrigan and Goldman, 2011). Routine monitoring surveys detect several hundred chemical pollutants in the bodies of all persons (Centers for Disease Control and Prevention, 2017). Some widely used chemicals are known to be toxic to children’s development. But because of weak governmental regulations, hundreds more have never been tested for safety or toxicity and their possible dangers to children’s health are not known (Landrigan and Goldman, 2011). Neurotoxic pollutants – chemicals that cause silent damage to children’s brains – are an especially grave threat (Grandjean and Landrigan, 2014). An example is lead. Exposure to even very low levels of lead during pregnancy and in early childhood can cause reduced IQ and impaired learning in childhood, juvenile delinquency in adolescence, and increased risk of violent crime in adult life (Needleman et al., 1979). Early life exposures to other neurotoxic pollutants such as organophosphate pesticides, mercury, brominated flame retardants, and the plastics chemicals – phthalates and bisphenol A – are linked to learning disabilities, ADHD, conduct disorders and autism. A major unanswered question is whether there are additional chemicals in use today whose dangers to children’s health have not yet been recognised because these chemicals have never been tested (Grandjean and Landrigan, 2014). Of the thousands of chemicals in commerce, only about 12 have been proven to cause developmental neurotoxicity in children, but another 200 can cause neurotoxicity in adult workers, and another 1000 are neurotoxic in experimental animals. It is not known how many of the untested chemicals in wide use today may be able to cause injury to children’s developing brains. The great danger of pollution exposure in early life is that it can undermine efforts to enhance children’s development through improved nutrition, early learning and better healthcare. Because it erodes children’s potential to learn and diminishes their capacity to develop and grow, pollution condemns generations of children to a lifetime of disease and poverty. The Lancet Commission on Pollution and Health has called upon mayors, heads of state, international organisations, global philanthropies and civil society organisations to address the neglected global problem of pollution and to make prevention of pollution-related disability a priority (Landrigan et al., 2018). The tools needed to control pollution have been developed; they have been successfully taken to scale and proven cost-effective; they are ready to be deployed worldwide. Pollution control is a winnable battle. It is critical to protecting the health of today’s children and the well-being of future generations.